Jim Collum, foreground, and other students work on light saber skills during a Golden Gate Knights class in San Francisco, Sunday, Feb. 10, 2013. SAN FRANCISCO (AP) — A group of San Francisco Star Wars fans who want to travel to a galaxy not that far away have created a combat choreography class for Jedis-in-training with their weapon of choice: the lightsaber. At a recent class, Alain Bloch, the self-proclaimed Jedi Master at Golden Gate Knights, demonstrated a slicing technique. He has a background in martial arts and stage combat. 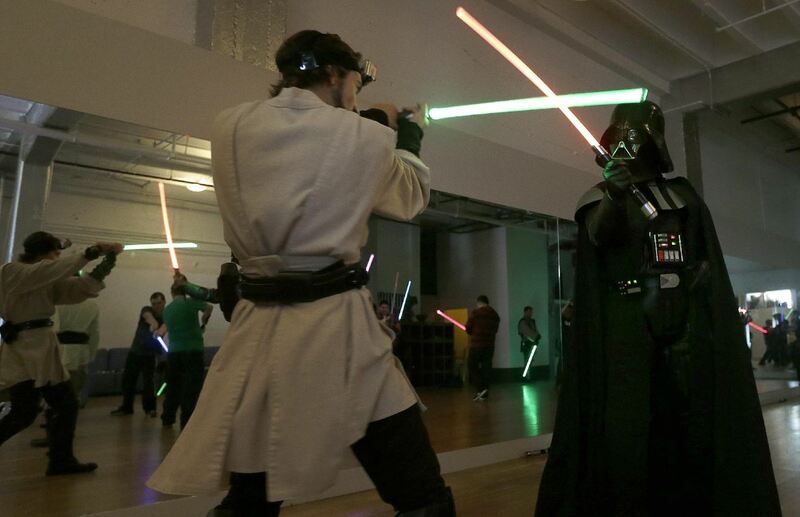 Golden Gate Knights instructor Alain Block, left, and Gary Ripper, dressed as Darth Vader, demonstrate light saber moves during class in San Francisco, Sunday, Feb. 10, 2013. "Always be mindful of the presence!" 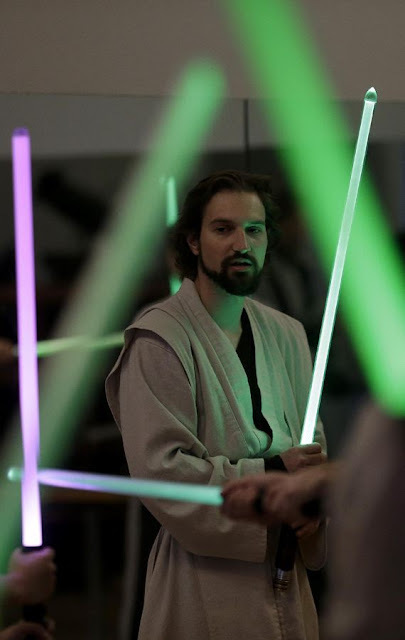 he said, donning a Luke Skywalker outfit and a green lightsaber. With Star Wars movie music coursing through the dance studio, his disciples clutch their neon-glowing lightsabers. Sophianna Ardinger meditates after a Golden Gate Knights class in San Francisco, Sunday, Feb. 10, 2013. Golden Gate Knights instructor Alain Block, right, teaches during class. 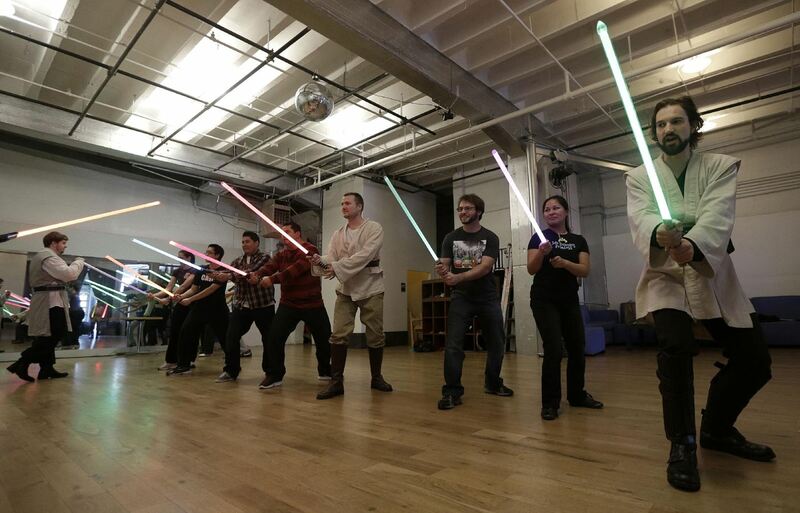 These self-proclaimed "Star Wars geeks" slice and parry as they follow Bloch's lead, and get a little exercise, too. Student Aaron Cheng jumps over a light saber swung by fellow student Starshine Medeiros during a Golden Gate Knights class. 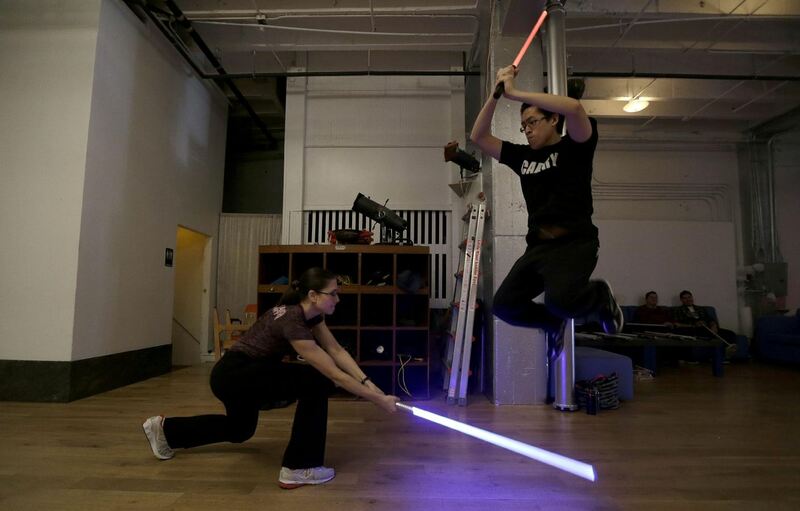 People in a recent class in the city's South of Market district, including a couple on a date, said they embraced their quirkiness and had even converted some of the skeptical into the "Jedi order." "At first they giggle because they think it's a little silly. Then they're like, actually that's kind of cool," said Julio Reyes, a student. "Then they start asking more questions." 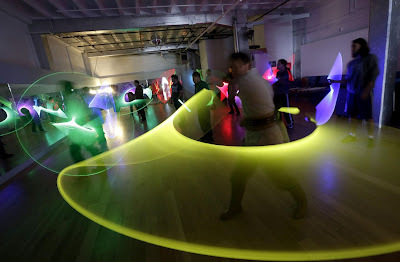 Golden Gate Knights instructor Alain Block teaches. 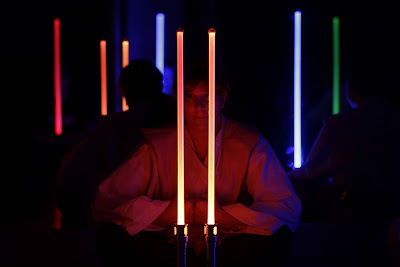 Not all Jedis-in-training are rooting for the good guys. 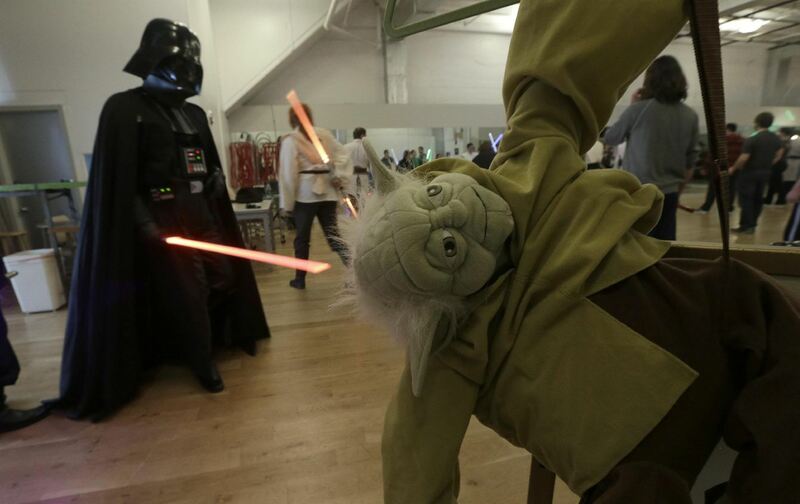 Some came to embrace "the dark side of the force." 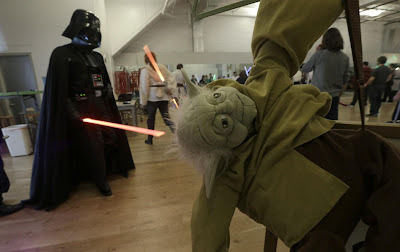 "I just love Vader, period," said the Darth Vader-clad student Gary Ripper. "Just his voice, the way he moved, the power of him. I just liked the powerfulness of him."